Spectacular on a fine day, and dry when it's raining outside, Classic Air Force is something very special. * Some activities, notably flights and the full-motion simulator are subject to an additional charge. It would be too easy to describe Classic Air Force as an air museum. Sure, there's a large and growing collection of historic aircraft, but this is no stuffy collection of preserved relics, because most of our aircraft fly regularly. So no two visits are the same, as planes come and go, flying to and from air displays or performing maintenance and check flights. 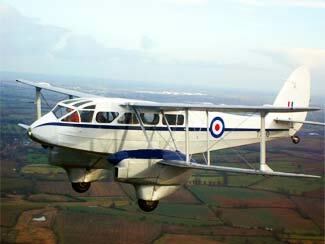 Best of all, you can even take to the air in some of these magnificent old machines*. They�re meticulously maintained to the stringent safety standard that qualifies them to operate as mini-airliners. 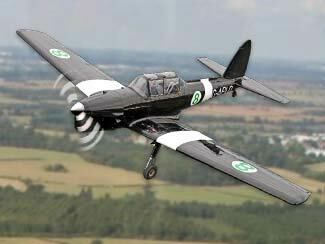 So you can experience something truly spectacular in vintage flying. Whether you prefer a gentle airborne stroll or an adrenalin-fuelled upside-down caper, there are lifetime memories to be enjoyed. So it's important to approach the collection slightly differently from the way you'd probably do it in an ordinary museum. If you prefer just to wander among the iconic early jets and propliners then of course you're welcome to do so. But to get the best from your visit you should talk to our friendly guides; ask them to take you up close to touch, feel and smell real living history. 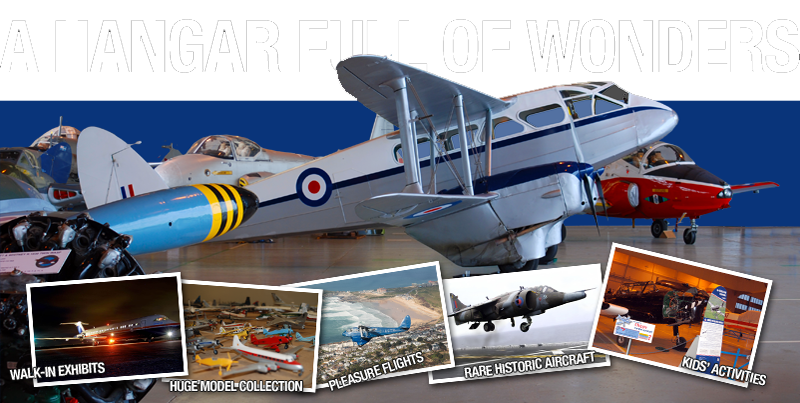 Visit us on a flying day - and there's likely to be at least a Rapide biplane or a fifties Chipmunk on the move most fair-weather days through the summer - and you're likely see and hear these very rare birds spreading their wings. There's something musical and stirring about the crackle of an old piston engine or the whistling sigh of an early jet. Of course, there�s always plenty to see, but with all this coming and going, the actual aircraft on display change almost daily. If you want to be sure of seeing your favourites then you can see their current whereabouts and when they�re on the move on our website: www.classicairforce.com/aircraft-movements. Once you've explored the giant VC10 in flight refueller and climbed aboard the BAC 1-11 electronic testbed you'll agree that the aeroplanes are the stars. 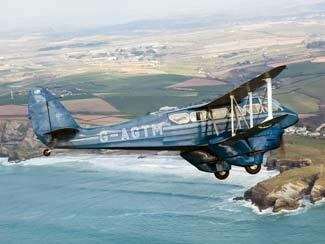 But the supporting cast is pretty impressive too, with delicious hand-made pasties, fantastic coffee and a proper selection of teas in the Caf� de Havilland. Then there's the cinema showing historic aviation footage, a huge display of aircraft models or the engine bay to investigate. And if you're not up for the real thing, try the ride-in full-motion simulator* or take the controls of several of our classics to fly them yourself around Newquay on our custom-built fly-it-yourself simulator.